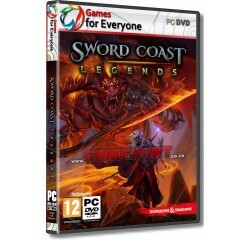 Sword Coast Legend - R120,00 : Game Hunt, Where we lead, others follow. Set in the lush and vibrant world of the Forgotten Realms, Sword Coast Legends offers an all-new way to enjoy the time-tested magic of playing Dungeons & Dragons as a shared storytelling experience. With a deep narrative developed by a team of long-time industry veterans and a partnership with Wizards of the Coast, the single player campaign of Sword Coast Legends brings the world of Faerun home like never before. Single player campaign created by members of the leadership team that brought you Dragon Age: Origins. Processor - 2.66 GHz Core 2 DUO E6700® or equivalent AMD® processor.